What does it mean to specialize in foreign auto repair? What does it mean to specialize in foreign car repair? The specialization of an auto repair shop starts with the owner. Owners are often ex-mechanics. They’ve developed a love for a specific type of vehicle over their lifetime. Many shops don’t just limit themselves to European or Japanese auto repair. Shops often specialize in both. That’s because a shop isn’t just a single mechanic. It’s composed of many mechanics with unique backgrounds. A diverse staff of technicians is good for the shop. Techs share training and knowledge. This diversification improves their abilities across every vehicle manufacturer. What else goes into a specialization? A shop has to have the right equipment. Certain diagnostic tools are made for specific vehicles types. Every shop will carry diagnostic equipment, this may only provide general information about a vehicle. 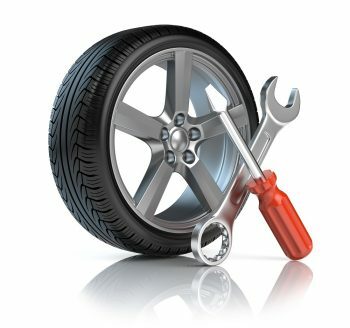 Because you want an auto repair shop that knows your vehicle better, you also want a shop that can diagnose it quickly. Vehicle specific equipment provides more data that can easily and quickly be understood. It allows a technician to narrow down the potential list of problems sooner and identify model-specific issues that general equipment wouldn’t catch. Taking out the guesswork and manual investigation required to pinpoint an issue saves you money in reduced labor costs. The mechanics need to have an in-depth knowledge of foreign vehicles. Since specialized garages are built on passion, you know the owner isn’t willing to settle. They look for skilled mechanics that specialize in several of the vehicles their shop does. It never hurts to interview the tech or mechanic who will be working on your car as well. Training can be acquired by taking certification courses, completing schooling, or taught during an apprenticeship or on the job. Any of these avenues provide a variety of vehicle specific experience and skill sets. They have to be prepared to turn away other business. It’s much easier to run a general auto repair shop than it is to specialize. If a shop only services specific vehicles it means they are turning away customers that don’t fall into that category. A specialist shop is dedicated to the vehicles they service and their customers. It’s all they work on each day, every day. Well that doesn’t guarantee quality, it means that there isn’t a single day that goes by where those mechanics aren’t working on your vehicle brand. That daily experience turns into mastery over time. They have to have a passion for your vehicle. Passion is the biggest predictor of a foreign auto repair shop. If you read the About Us section of a specialist garage, you’ll find a lot of stories about childhood auto work and passion passed down from parent to child. These shop owners love the cars they work on. They drive them, repair them, and maintain them for decades. The love of the vehicle is what keeps these owners working on the same vehicle brand year after year. Whether it’s the reliability of Japanese autos like Honda and Nissan or the power and sportiness of BMW and Audi, you know they love what they do. That’s why finding a trusted local independent shop is an important part of your long-term vehicle care strategy.